Convert PowerPoint presentations to videos of any formats without loss. 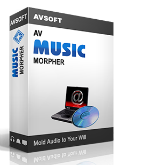 Moyea PPT to Video Converter 2.8.0 was available as a giveaway on April 15, 2016! Moyea PowerPoint to Video Converter is able to convert PowerPoint presentations to videos of any popular formats without distortion and effect loss. 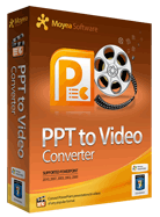 This all-in-one PowerPoint converter enables you to convert PPT to AVI, PPT to WMV, PPT to MPEG, PPT to FLV, PPT to MP4, PPT to VOB, PPT to 3GP/3G2, PPT to MOV, etc. Fast speed and clear results. How would you improve Moyea PPT to Video Converter 2.8.0? say thanks for this excellent piece of software. When I get to this point, I hit the setup.exe and it quickly displays a screen with a progress bar, showing the progress and then disappears, nowheres to be found........try it several times and same thing.......no hint of anything installing........what gives here? How come the change and does anyone have a clue as to what's going on? It's got to be my win8 sys, since nobody else seems to be having any problem.........curious!! Well, cannot remember getting to install successfully any package that I've been interested in lately........either it makes me give an email address to get the link or like it used to be before, where I could just download the file that gave me the setup.exe and readme.txt files....... When I get to this point, I hit the setup.exe and it quickly displays a screen with a progress bar, showing the progress and then disappears, nowheres to be found........try it several times and same thing.......no hint of anything installing........what gives here? How come the change and does anyone have a clue as to what's going on? It's got to be my win8 sys, since nobody else seems to be having any problem.........curious!! One good feature is it allows us to choose which installed PPT rendering program to use, powerpoint itself or powerpoint viewer etc. but did render the conventional actions ok.
One good feature is it allows us to choose which installed PPT rendering program to use, powerpoint itself or powerpoint viewer etc. It did not fully render an embeded mpg file, just the first second or so... but did render the conventional actions ok. I registered on Moyea site, as instructed, w few hours ago. Their site displayed the registration code and advised that the mail with confirmation instruction had been sent to me. And, since then, the confirmation mail has not arrived! (I, of course, checked my mail, trash, google folders that hold my mail boxes etc. and their mail is nowhere there.) I also tried to re–register in order to check if my previous registration has been recorded in Moyea’s database. It appeared, they did register my mail address and re–registration was impossible (which is, of course, a reasonable policy). Is it yet another software provider that cannot develop a reliable and efficient registration system? We have so many such developers whose software is – in y eyes – discqualified by the developer’s inability to ensure smooth and efficient registraton system. Is there any Moyea staff to explain and rectify their apparent error? I registered on Moyea site, as instructed, w few hours ago. Their site displayed the registration code and advised that the mail with confirmation instruction had been sent to me. And, since then, the confirmation mail has not arrived! (I, of course, checked my mail, trash, google folders that hold my mail boxes etc. and their mail is nowhere there.) I also tried to re–register in order to check if my previous registration has been recorded in Moyea’s database. It appeared, they did register my mail address and re–registration was impossible (which is, of course, a reasonable policy). Is it yet another software provider that cannot develop a reliable and efficient registration system? We have so many such developers whose software is – in y eyes – discqualified by the developer’s inability to ensure smooth and efficient registraton system. Is there any Moyea staff to explain and rectify their apparent error? "And, since then, the confirmation mail has not arrived! (I, of course, checked my mail, trash, google folders that hold my mail boxes etc. and their mail is nowhere there.)" Not defending Moyea so much as pointing out that there are spam filters on all of the servers email passes through on the way to our inboxes. It's something to be aware of, as it can also effect the email you send too. When it comes to offers like today's GOTD I normally wait a few minutes, & if the email doesn't arrive I'll try again using one of my email addresses for a different email service. Sometimes I'll have to try 3 or 4 different services before the registration makes it through the gauntlet, though usually I'll get the email on the 2nd try, & rarely I'll not get it at all. Marek, <i>"And, since then, the confirmation mail has not arrived! (I, of course, checked my mail, trash, google folders that hold my mail boxes etc. and their mail is nowhere there. )"</i> Not defending Moyea so much as pointing out that there are spam filters on all of the servers email passes through on the way to our inboxes. It's something to be aware of, as it can also effect the email you send too. When it comes to offers like today's GOTD I normally wait a few minutes, & if the email doesn't arrive I'll try again using one of my email addresses for a different email service. Sometimes I'll have to try 3 or 4 different services before the registration makes it through the gauntlet, though usually I'll get the email on the 2nd try, & rarely I'll not get it at all. Hi Mike, thanks a lot for your reply. I am perfectly awarte of anti-spyware, anti-etc. filters (incl. those on Google that are fairly uncontrollable) and have checked spam folders several times. I think I might use your clever advice and try another mail address of mine, but I have not made up my mind yet if I want to use a piece of software developed by programmers who are unable to ensure a smooth registration procedure and/or predict an increased taffic generated by the promotion and set their serves to process such trafic. And the fact that a Moyea representative is non-existent on this forum tells me they are unaware of problems their software may cause to various users, which is yet another proof of their ignorance. A lot of complaints related to registration procedures on this forum result from user’s ignorance and I have never made such complaint. This time, however, I changed my mind as I think it is high time that our community says definitive NO, NO, NO! to making fool of us by incompetent developers (BTW to the detriment of GAOTD reputation). Hi Mike, thanks a lot for your reply. I am perfectly awarte of anti-spyware, anti-etc. filters (incl. those on Google that are fairly uncontrollable) and have checked spam folders several times. I think I might use your clever advice and try another mail address of mine, but I have not made up my mind yet if I want to use a piece of software developed by programmers who are unable to ensure a smooth registration procedure and/or predict an increased taffic generated by the promotion and set their serves to process such trafic. And the fact that a Moyea representative is non-existent on this forum tells me they are unaware of problems their software may cause to various users, which is yet another proof of their ignorance. A lot of complaints related to registration procedures on this forum result from user’s ignorance and I have never made such complaint. This time, however, I changed my mind as I think it is high time that our community says definitive NO, NO, NO! to making fool of us by incompetent developers (BTW to the detriment of GAOTD reputation). And again, thanks, Mike! Marek, as long as you have coppied the displayed registration code you don't need the email to arrive! If you didn't copy the registration code, oops silly mistake... just re-register with another email address, working or not and this time copy the registration code to the clipboard, and save it somewhere like in the readme.txt file. And then install and register the software itself with the coppied reg code. When problems have occurred with normal e-mails, have found the temporary e-mails available have worked extremely well. They don't have to block spam and so the problems mentioned by mike did not occur, certain developers will not accept certain temporary sites and so I use another one. Marek, When problems have occurred with normal e-mails, have found the temporary e-mails available have worked extremely well. They don't have to block spam and so the problems mentioned by mike did not occur, certain developers will not accept certain temporary sites and so I use another one. Dear TK, thank for your comment. I did copy the registration code, but Moyea informs on their site that they have sent a mail with CONFIRMATION, which – in most similar procedures means – that the code is not valid until you reply to the confirmation mail to show that your data is true. I hate starting installation procedure (involding the system register etc.) without being sure it will be a successful operation. Otherwise, my system would have been full of registry trash with an unpredictable impact on the system operation. Are you sure that in this case "bare" registration code will suffice? Sorry to bother you with the question and thank you for your attention, TK! Dear TK, thank for your comment. I did copy the registration code, but Moyea informs on their site that they have sent a mail with CONFIRMATION, which – in most similar procedures means – that the code is not valid until you reply to the confirmation mail to show that your data is true. I hate starting installation procedure (involding the system register etc.) without being sure it will be a successful operation. Otherwise, my system would have been full of registry trash with an unpredictable impact on the system operation. Are you sure that in this case "bare" registration code will suffice? Sorry to bother you with the question and thank you for your attention, TK! I suspect the confirmation aspect is just giving you a backup of the key which is probably exactly the same key for everyone anayway! Marek, All I can say is... it worked fine for me and I used a fake email as I don't look forward to unsolicited email :) Mind you I used the trial download from their site too, but I see no reason the GAOTD wrapped installer should be any different :) I suspect the confirmation aspect is just giving you a backup of the key which is probably exactly the same key for everyone anayway! Marek, the email contains the registration code, and a link to download the program; there is no need to "confirm" anything. And although I downloaded the program from this link, and then installed it without any issue, I'm sure you can use the setup.exe from the GotD download to install it as well. Thank you, Suze and TK for your feedback. time and patience. Indeed, you were right in all aspects and I have the programme installed in my computer. And I followed TK’s advice and established a fake e-mail address, too, for future use. Marek, You're welcome, and I'm glad you were [finally] able to install the program. Have fun with it! I was a bit annoyed, puzzled, and concerned to see that NONE of their completed videos on their website could be viewed on YouTube because their account had been "terminated." It's an OLD looking site that seems to not be weeded, watered, or cultivated. Just saying. Well, it downloaded. So I - of course - told it to install. It wandered off, and came back activated - but it hasn't installed. I repeated the above actions - and it has repeated itself as well. I can certainly get to the "obtain keycode" page - but there isn't much point if the program didn't install. Pretty useless if there's no html5 output option. Come on! We're getting on towards mid-21st-century. Thank you for the pointer, Mario. I'll try that. Their products look well engineered. "Pretty useless if there's no html5 output option." I think for some folks a potential solution would be Microsoft's Sway, which itself is an alternative to, or possible replacement for PowerPoint. Sway lets you use different types of media, including video, which depending on your needs could be generated with Moyea PowerPoint to Video Converter, or as Walter Snodgrass points out, some versions of PowerPoint itself. BenAsp, <i>"Pretty useless if there's no html5 output option. "</i> I think for some folks a potential solution would be Microsoft's Sway, which itself is an alternative to, or possible replacement for PowerPoint. Sway lets you use different types of media, including video, which depending on your needs could be generated with Moyea PowerPoint to Video Converter, or as Walter Snodgrass points out, some versions of PowerPoint itself. Hi all, only had a brief time to try out this software before going out, I would like to share my experience of that time. Installed and registered smoothly, Win 10 64 bit. As a laptop user, I would have preferred a resizeable/ full size interface, it was however usable and tidy. The program looks for an installation of Microsoft office in order to function, I unfortunately can't afford this at the moment, using one of the free alternatives. It offered the solution of powerpoint viewer, which it downloads for you. You then have to run the viewer, restart Moyea PPT to video, then specify the ppt viewer before you can continue. A little messy, but once it's done you are good to go. The variety of output formats is vast, including HD and DVD, and several pre-sets for popular devices too. Conversion is efficient, and the output of the 720p test I ran, looked to be of a good quality. Hopefully one of you will have a little more time to try out the other functions including inserting audio, this is a keeper for me. I just wish companies would avoid smaller fixed interfaces, we don't all have large screens to hand. Also, look at :- http://www.moyeamedia.com/deals/free-deals?p=1&platform=4 2 pages of freeware by the company, plenty to go at.... Sorry it is only a limited test, but I hope it helps some of you to make an informed decision, to try for yourselves. I'm a bit puzzled by today's offering, because PowerPoint can save PowerPoint presentations as videos. PowerPoint does a very nice job of saving presentations as .wmv files, which can then be converted to other formats. What does PPT to Video Converter do that isn't already done by PowerPoint? Walter Snodgrass, I think that's only true with the latest version of PPT. I used a previous version of the converter from Moyea for years with PPT 2003. Saved my a** more than once. Phil, I agree that an earlier version of this program worked very well with PPT 2003. Walter Snodgrass, Which build of PowerPoint are you running? I ask because I have PPT 2007, and cannot find video formats in the drop down list of save formats. I use PowerPoint at least three to four times a week, and would like to use it to create uploadable videos for YouTube and other sites. This GOTD looks promising, except that it seems many are having trouble getting the activation code. At any rate, I do need to get something that will do the job. - On the File menu, click Save & Send. - Under Save & Send, click Create a video. - To display all video quality and size options, under Create a video, click the Computer & HD Displays down arrow. Indeed, the drop down list of 'Save as' formats does not include videos. L. Cleveland Major, I don't know if you can save PPT 2007 as a video, but part of the instructions in the link I posted in my comment above yours includes these instructions: - On the File menu, click Save & Send. - Under Save & Send, click Create a video. - To display all video quality and size options, under Create a video, click the Computer & HD Displays down arrow. Indeed, the drop down list of 'Save as' formats does not include videos. Suze, I know I can create animated presentations, and the animation is in how a slide transitions to the next slide. I have also created a simple animation of an object moving toward and away from the camera view, but I cannot recall if that was PowerPoint or something else. L. Cleveland Major, Sorry about the delayed reply. I'm using PowerPoint 2010, and Windows Media Video (.wmv) is in the drop-down list of save-as formats. I had thought it was in PowerPoint 2007 as well, but I could be wrong. Walter Snodgrass, not a problem. I will check again to see if I missed something! If it is there, then I'm good to go. Walter Snodgrass, Apparently it is note there at least in my version PPT 2007. So I will be looking for a good converter. Some years back I bought most of Moyea products because I found they were good. Just one thing their customer support is not good. I wonder why don't they send updates to those who use most of their products. Some years back I bought most of Moyea products because I found they were good. Just one thing their customer support is not good. I wonder why don't they send updates to those who use most of their products. Tested on a number of PowerPoint files without any success but that could be my problem rather than the programs problem. Didn't really have enough to test as I never use PowerPoint. I do have PowerPoint installed on my system and with many programs of this type it is a requirement, could not find that being mentioned here or on their website.